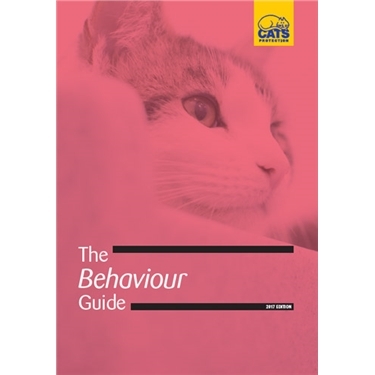 Cats Protection has produced The Behaviour Guide, an exciting new guide touching on a variety of topics on cat behaviour. While the guide is aimed primarily at Cats Protection volunteers and staff, it is hoped that the guide will be useful to others – from animal welfare charities to veterinary professionals. The guide provides an introduction to most aspects of cat behaviour and aims to help gain a better understanding of cat behaviour and behavioural problems. While it isn’t possible to provide a solution to every behaviour problem, it will provide an insight into why a cat might behave a certain way.